A few months ago, the lovely folks at Pinky Paradise kindly sent me a couple of sets of circle lenses to review. I would have posted this a lot sooner, but being a total contact lens novice every time I tried to put the lenses in I would fail miserably and give up - I think this was the fifth time I tried and after a lot of fumbling, lenses sticking to eyelashes and fingers, hand washing, and expletives, it FINALLY worked! 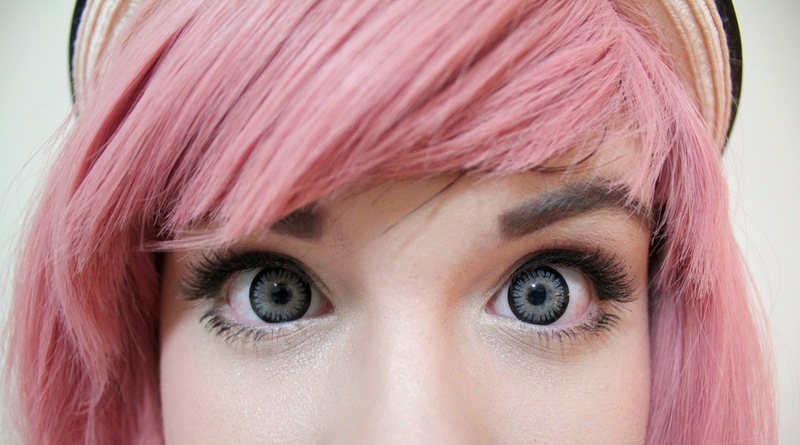 These are Geo Princess Mimi lenses in Sesame Grey and they are absolutely huge. One of the problems I had putting them in - aside from being scared to touch my eyeballs - was that they were so big that I had trouble opening my eye wide enough! These are the first circle lenses I've ever worn and I think I probably should have started a bit smaller, but as is my attitude with everything, go big or go home. Because of the size they were a little uncomfortable at first and it did take a little while for my eyes to stop watering, but once I got used to them I started to forget they were even there. My eyes are naturally a bluey grey colour, so these lenses blend in perfectly with my own iris colour, and I honestly think they look pretty natural despite their size! If you're looking for enlargement without looking too cartoonish, then these lenses are perfect, once I'd gotten used to them and I caught site of my reflection and I was shocked at how huge my eyes looked haha! Of course I forgot to take a comparison photo so you'll just have to trust me, but I promise next time I'll remember. Final thoughts? If you have no experience with contact lenses and you're a little bit timid, I don't think you're gonna want to try and wrestle these bad boys on your first go. If you're used to putting your fingers in your eyes, or you're up for a challenge, then you'll love these lenses! 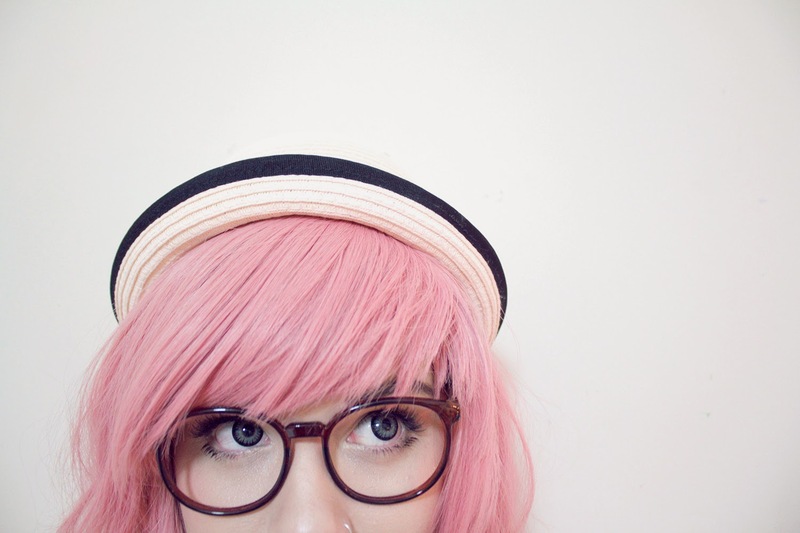 They're comfortable to wear, they look natural, and they don't pose any issues when it comes to vision. I only need my prescription for reading so I don't really need any help from these lenses, but they are available in up to a -10 prescription (whatever that means, I won't pretend to understand those numbers haha). They retail for $23.90, and when you use the code 'myfriendmunster' at the checkout you'll receive a free lens case and an extra little gift, how can you say no to that?! They look amazing! I've always been fascinated with lenses, but yeah, the thought of touching my eyeball squeaks me out a bit! Thank you! I must admit that I was sent these lenses in October last year and it's taken me this long to actually get them in my eyeballs haha. I'm so scared of touching them!